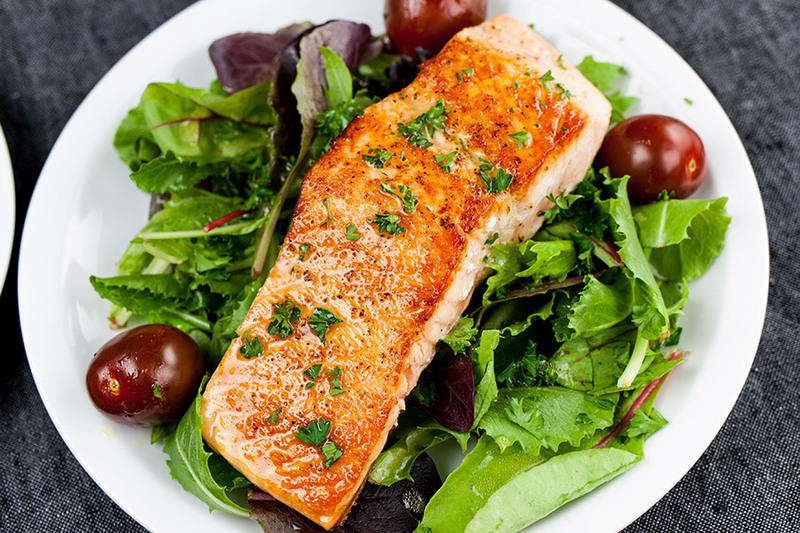 Pan-Seared Salmon Salad with Lemon Dijon Vinaigrette is one of the quickest, healthiest meals you can serve your family! Literally, this meal is on the table in 15 minutes. 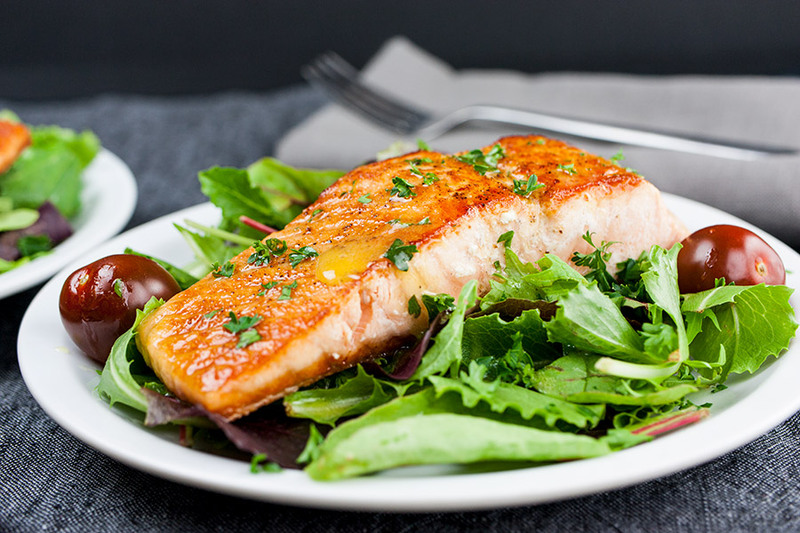 The fresh homemade lemon dijon vinaigrette brings tons of tangy, zesty flavor to the salmon and the salad. 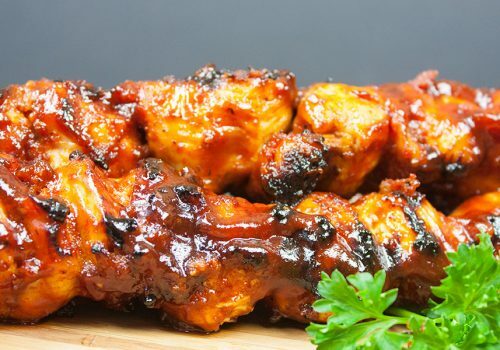 A meal that will check all the boxes for everyone in your family or dinner guests. Squeeze the lemon juice into a small measuring cup. Add the dijon mustard, parsley, salt, and pepper. Slowly whisk in the olive oil, set aside. You can chill for a few minutes but don’t leave it in the refrigerator too long, the olive oil will solidify. Season the salmon fillets with salt and pepper. Heat 2 tablespoons of olive oil in a large non-stick skillet over medium-high heat. Place the salmon skin-side down in the hot pan, and fry for 3-4 minutes or until it releases easily from the skillet. This will result in nice and crispy fish skin. Turn the salmon over onto the flesh side and continue to pan-fry the salmon another 3-4 minutes. The salmon should no longer be translucent but still moist in the center. 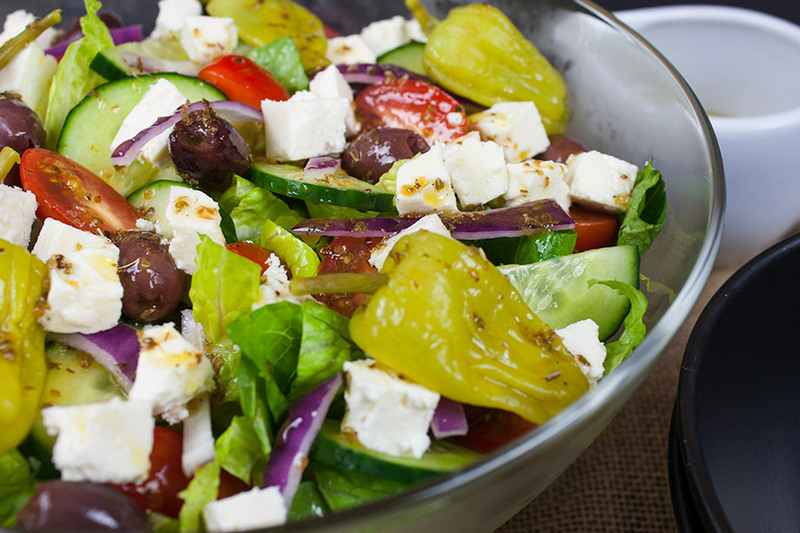 Place about 1 1/2 cups of spring mix salad greens on a plate with a few grape tomatoes. 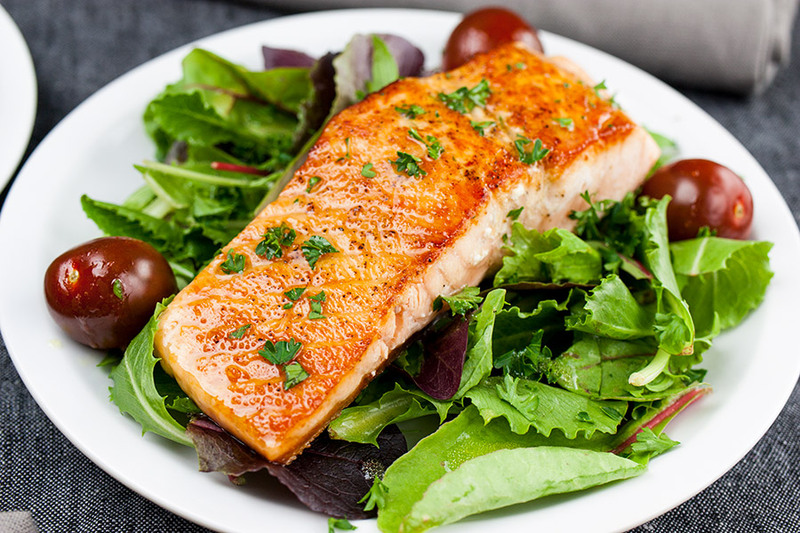 Top the greens with a piece of salmon, drizzle with the desired amount of lemon dijon vinaigrette and serve. 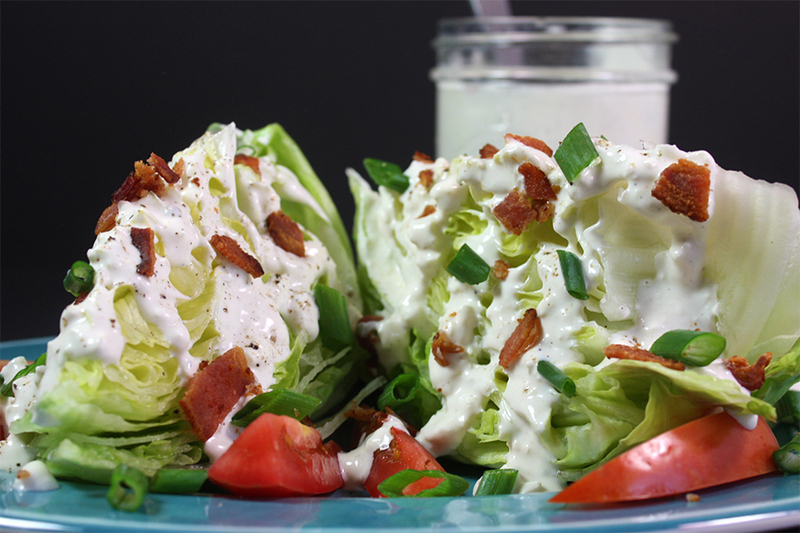 You can certainly add additional veggies of your choice to the “salad recipe”. Try red onions and bell peppers thinly sliced. 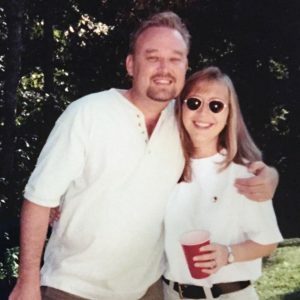 I’m trying my best to put my husband on a low carb diet. This dish sold him … for this meal at least. He was never a fan of salmon. I, too have not been a salmon lover. But if cooked properly it’s delicious. Personally, I could eat this meal a couple of times a week. 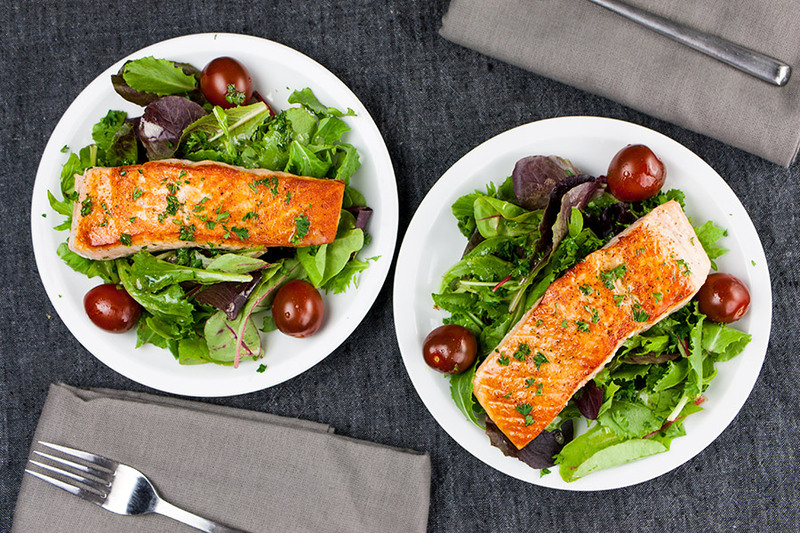 Serve this perfectly pan-seared salmon salad dressed with a fresh lemon dijon vinaigrette any night of the week. It’s elegant yet so simple! 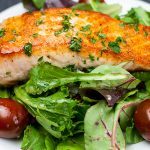 Pan-Seared Salmon Salad with Lemon Dijon Vinaigrette - One of the quickest, healthiest meals you can serve your family! 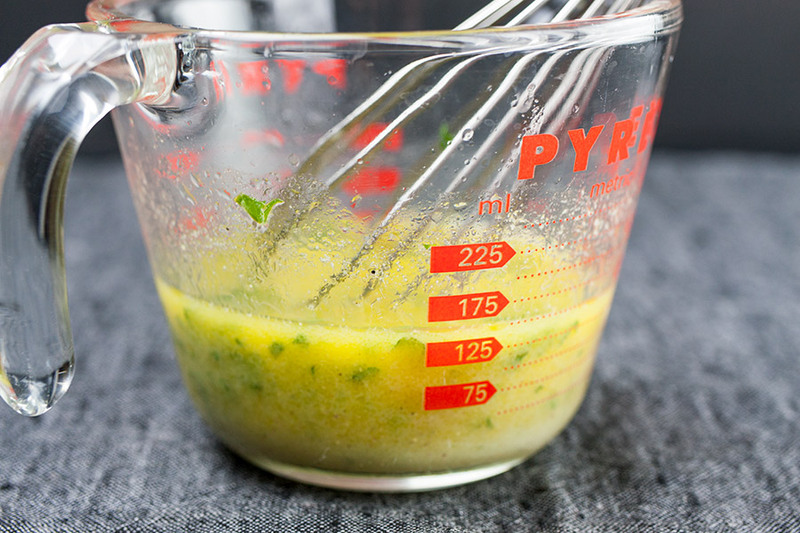 Fresh homemade vinaigrette brings tons of tangy, zesty flavor. Squeeze the lemon juice into a measuring cup. Add the dijon, parsley, salt, and pepper. Slowly drizzle in the olive oil, whisking constantly. Set aside. This makes not quite 3/4 cup of vinaigrette. In a large non-stick skillet, heat 2 tablespoons of olive oil over medium-high heat. Season the salmon with salt and pepper. Add the salmon skin-side down to the pan and cook 3-4 minutes. 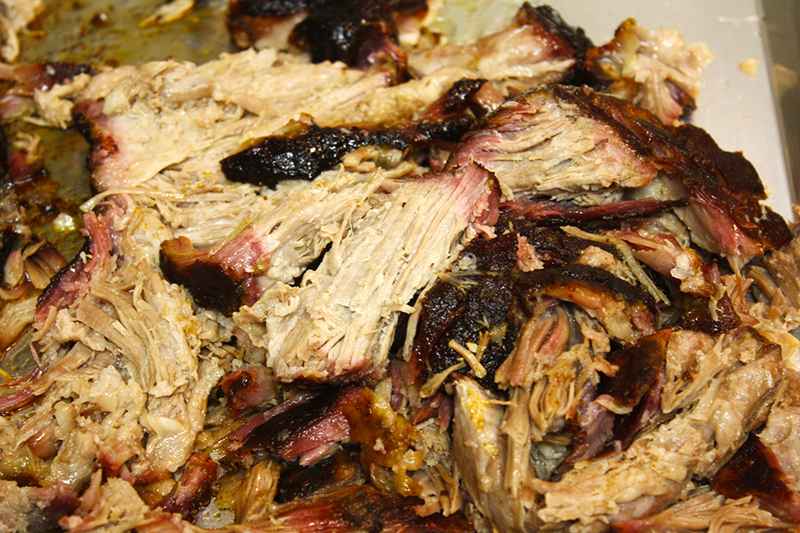 Turn the fillets over and cook another 3-4 minutes until they are no longer translucent but still moist in the center. 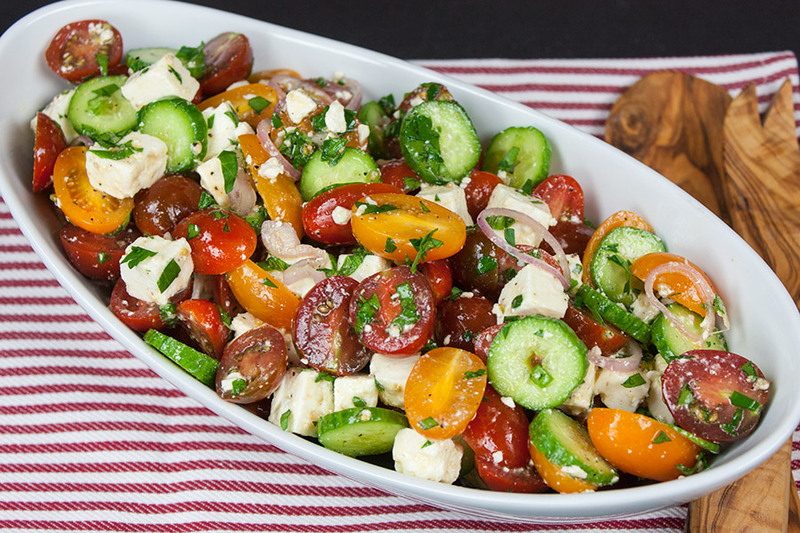 Place about 1 1/2 cups of spring salad mix and a few grape tomatoes on a plate, top it with a piece of salmon. 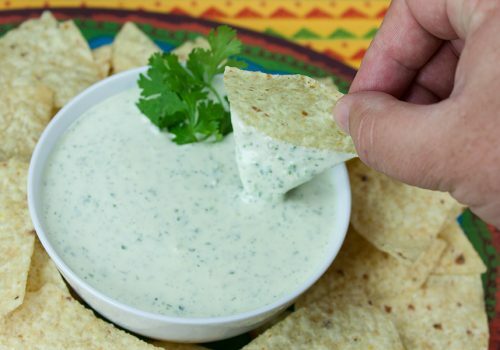 Drizzle with the desired amount of dressing and serve. We like our salmon to still be medium-rare in the middle. But if you don't cook it another minute or so, but no longer. Overcooked salmon is no Bueno!